Dell computers are for sale on the ICC Surplus website. $30 each. You can purchase a 15″ flat screen VGA monitors for $5 more or a 17″ flat screen VGA monitor for $10 more! 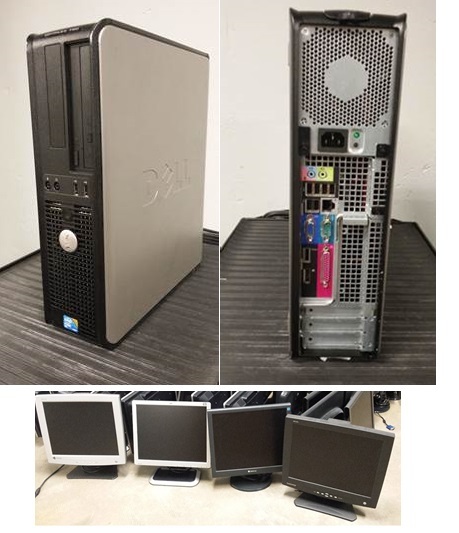 These computers and an IT professional will be available to answer your questions and assist with computer purchases at the ICC Surplus Warehouse Sale next Thursday, April 7 at the ICC Warehouse from 8:30 a.m. to 4 p.m. Cash, credit and debit card are accepted the day of the sale only. Buy online before Wednesday, April 6 to beat the Thursday rush!